The 2018 World Cup isn’t just about the top footballing nations battling it out for the ultimate glory; it is also perhaps the test ground for FIFA to ensure fairer gameplay. To do that, FIFA has progressed far more than just employing yellow and red cards. The focus for them is to ensure that games get as an accurate a result as possible. To do that, they have launched the Virtual Assistant Referee (VAR) system. Yes, along with the greatest footballing nations in the World Cup battling it out, we have another trial test that is as important as controversial: the VAR system. Most sports have used technology to help get better results and ensure fairer gameplay. The digitalisation of football, however, has had an impact on every aspect of football. Right from TV coverage of the match to ticketing to measuring individual performances, technology is used everywhere. The goal line technology was one of the more successful FIFA approaches to football. It’s what made sports pundits get fairer results, as the review of the Golden Nugget casino would suggest. There is no denying the fact that the technology of Virtual Assistant Referee makes the game more lucrative. VAR system improves the performance of the player and the tactics of the managers. It makes the referee calls more accurate and precise marking the accuracy and fair judgement in the game. The technology is for bringing a decent match to the people and rewarding the talent of the deserving team by upholding the notion of ‘let the best win’. The fundamentally incredibly simple technology provides an extra referee to advise officials on decisions. However, even with all these benefits, there are a few things that still need to be addressed. The Controversy: What’s it About? The Virtual Assistant Referee has also come up as a major cause of controversy. Many feel that the technology of Virtual Assistant Referee has made the beautiful game of football, simply put, unnatural. It is bizarre and false for the fans to hold on their excitement and celebration of a goal until and unless they receive a confirmation from the Virtual Assistant Referee (VAR). The progress in the technology is alleged to hamper the spirit of the game. People also state that the technology is at its initial and early stages and even the virtual referee who is appointed for the task is confused and unaware of its operations. 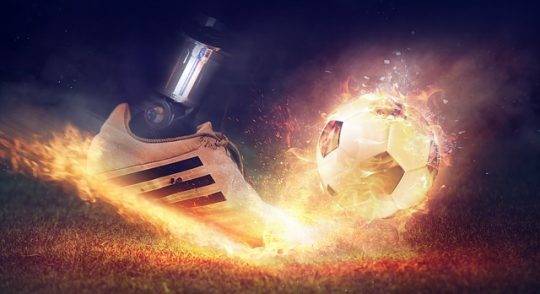 The debate as to whether the technology of Virtual Assistant Referee has been productive or has hampered the magic of the unique game has its angle and dimensions through which it should be analysed. The study and understanding of the technology and its proper implementation keeping in mind the sentiments and emotions of the people attached to it will reap better results. Adoption of a mediocre way that gives benefits of technology keeping the spirit of the game alive is the best solution of the controversy.